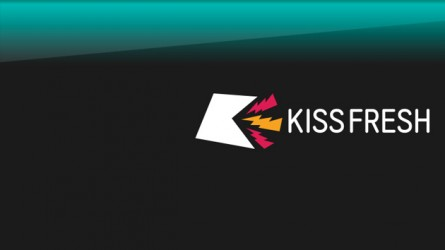 Bauer Media has today pulled the plug on its Smash Hits Radio station on Freeview channel 712 and replaced the service with KISS FRESH, officially launching on the platform at 2pm today. The decision to close Smash Hits Radio comes seven years after the magazine of the same title ceased publication. In recent times, Smash Hits Radio had only been available on Freeview and online following its withdrawal from DAB digital radio. The only service still retaining the Smash Hits name is the TV channel available on cable and satellite platforms. Ahead of the closure, listeners were advised to tune into sister station The Hits on channel 711, which broadly plays the same music. KISS FRESH is one of two new Kiss-branded stations that launched in May. 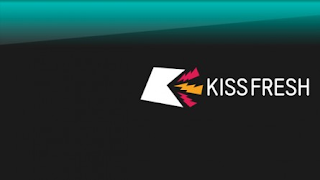 Sister channel Kisstory launched on Freeview channel 714 in May, but Kiss Fresh has until now been an online only service. The new service is "an on-demand digital station playing non-stop new beats including hip-hop, R&B, EDM, House and Garage", according to Bauer Media. The station will also showcase exclusive mixes from new DJs plus specials from artists such as Daft Punk. Today's changes are another milestone for Bauer Media this year, who have already made some radical changes to their portfolio of radio stations, including acquiring Absolute Radio , Planet Rock; rolling out KISS nationally on DAB, and making its music channels (operated through Box TV, a joint venture with Channel 4) free-to-air on satellite. I would like to see Planet Rock, as well as the extra Absolute stations added. Although an online portal would be more likely, playing all of their brands in one radio player. Nothing to stop Bauer doing what they did with Red Button Connected TV on 4Music and what it seems QVC wants to follow. It could be deemed the 4Music Connectivity option been deemed successful! I do hope for someday RadioPlayer create applications for TV particular with connectivity thats on Youview, Virgin Media Tivo and "Smart TV" devices! Bauer really do want to shove 'Kiss' down our throats don't they - Kiss, Kisstory and Kiss Fresh! Better than the rival Global Radio Heart and Capital war on local and heritage!